Capital Entrepreneurs member Steve Faulkner will be featured on This Week in Startups with Jason Calacanis in 15 minutes, at 3:30 central time. Check out This Week In Startups and watch live to see Steve in the Shark Tank pitching his new startup Real Time Txts. Steve will be giving a 60 second pitch and then the host and audience will be giving him feedback.Â Check it out if you can take a few minute break at 3:30. As you can see, we’ve launched a new site design. The new design isn’t the only thing changing; Capital Entrepreneurs is looking to better serve and better represent Entrepreneurs in the midwest. You should see more articles, more opinion, and more analysis of what’s what in Madison and the surrounding area. Locally, Capital Entrepreneurs is a great networking group for startups and we highly suggest you join. You’ll meet other interesting people, make worthwhile connections, and gain valuable resources. 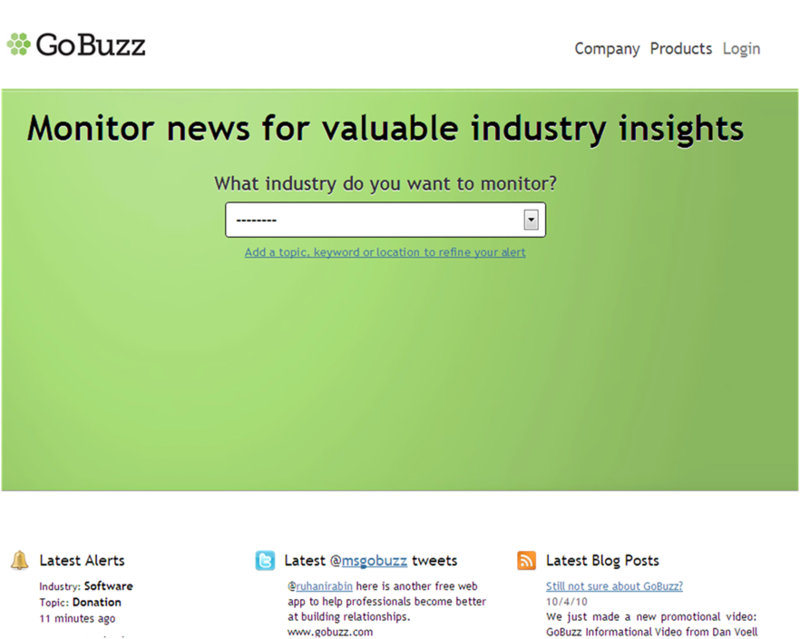 We want to hear your feedback about the new design and about all the articles we post. Thanks for reading! Capital Entrepreneurs member Greg Tracy’s new startup Asthmapolis took first prize in Twilio and Union Square Ventures’ contest to create the best app on Twilio.Â They beat out 50 other startups with “a terrifically broad range of applications, from funÂ simple hacks to ambitious projects,” writes Albert Wenger of Union Square Ventures. The Asthmapolis team, made up of veteran entrepreneurs Tracy, David Van Sickle, andÂ Mark Gehring, hope to help asthma patients and their doctors learn more about when and where asthma patients use their inhalers.Â There are two main parts to the Asthmapolis system.Â The first part is the Spiroscout, “a device that uses GPS to determine the time and location when an inhaler is used, and then stores or sends that information to a remote server.”Â When an asthma patient uses their inhaler, the Spiroscout system logs the time, place and stores it for later use. The second part is the mobile dairy.Â By using mobile diary, “you can map and track asthma symptoms, triggers, and your use of rescue and controller medications, and other important events from any phone with a web browser,” write the founders on the Asthmapolis website.Â Users can also choose to receive text messages about location, missed doses and other interesting information that might help them manage their asthma. The Asthmapolis team added additional functionality with Twilio for the contest so that Asthmapolis users without smart phones can now report about their inhaler uses.Â Union Square Ventures seemed most excited about the SMS capabilities because so much of the world does not have smart phones.Â Adding SMS allows the Asthmapolis team to enter into a much larger market. It’s great to see a startup that mixes the web with medical devices coming out of Madison.Â Madison startups are starting to get national recognition, which can only be good for the Madison startup ecosystem as a whole.Â You can follow the Asthmapolis team’s progress on Twitter or on their blog. 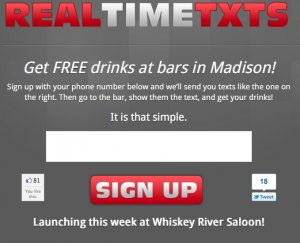 Real Time Txts, a new business by Capital Entrepreneurs members Steve Faulkner and Tyler Stubbe launched last night.Â Real Time Txts sends you text messages for free drinks at selected bars in Madison.Â It’s sort of a like Groupon, but texted to your phone and for now, it’s just for bars.Â You can sign up on the Real Time Txts website by giving them your phone number.Â On days where there is a deal, you get a text a few hours before the free drink special is going to start, with location and time.Â When you get to the bar, you show the text on your phone and the bartender gives you a free drink. 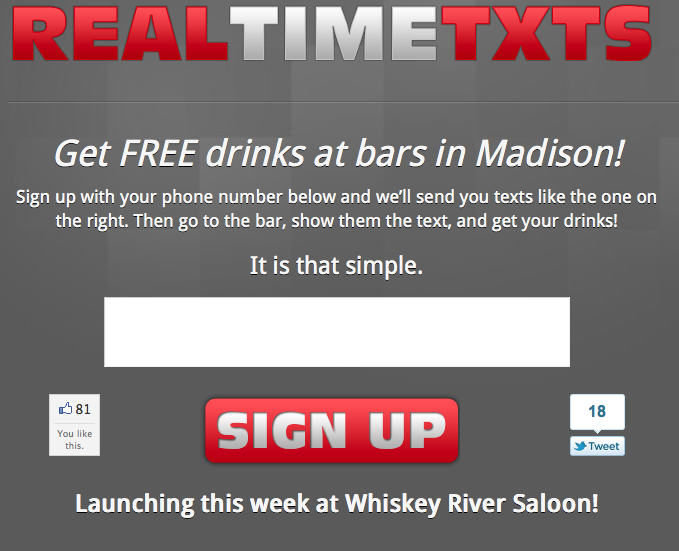 I tried it out this week and it worked really well.Â I signed up on Monday and got my first text last night at about 730pm.Â Whiskey River Saloon, one of the newer bars on State Street, was offering a free drink to anyone with the text from 9-10pm.Â A few of my friends and I walked down to Whiskey River, showed our phones and got our free drink.Â You could choose between beer or a few different types of liquor drinks.Â There was a good crowd and many of the other people in the bar were very interested in why people were showing their phones to the bartenders.Â I got a free Captain and Coke and had a great time. Faulkner and Stubbe plan to expand to more bars in Madison in the very near future.Â Based on the reaction I saw at Whiskey River and on social media sites, I think Real Time Txts has a really good chance of taking off.Â I overheard two people at Whiskey River last night who were on the Real Time Txts list, but were not sure it was legit, so they didn’t tell their friends yet.Â Once they got their free drink, they said they would tell everyone.Â I expect to see rapid growth over the next semester, as more University of Wisconsin students find out about the service from their friends. There are a bunch of new services that have launched in the wake of Groupon, but I think Real Time Txts has hit onto an interesting new twist on the model.Â Check it out and let me know what you think. Capital Entrepreneurs member Chris Meyer emailed me today to share that Sector 67 is hosting the grand opening this Friday.Â Sector 67 is Madison’s first hackerspace, which is a shared space “dedicated to providing members the opportunity to work on tomorrow’s technology; to build, collaborate, learn, and teach about next generation devices.” Hackerspaces have been sprouting up all over the world and are a staple of a community committed to innovation and technology. Sector 67 is a big addition to the Madison tech community.Â “Sector 67’s support infrastructure is important because it fosters creation and growth of high tech companies.Â Perhaps more important than the facility itself is the contribution Sector 67 will make toward strengthening the culture of entrepreneurship in our community,” says Allen Dines of the University of Wisconsin’s Office of Corporate Relations has been working to support Meyer’s Sector 67 effort. Meyer has been working extremely hard for over a year to make Sector 67 a reality and I’m excited to attend his grand opening on Friday.Â I’ve gotten to know him over the past two years and it’s been great to hear weekly updates along the way.Â You can check out some of Meyer’s previous work in the Burrill Business Plan Competition last year and the Governor’s Business Plan Competition from earlier this year as well.Â I’m excited to attend and will take some pictures and include an update over the weekend. Sector 67 is a much needed addition to the Madison tech startup scene and will hopefully help foster the next generation of entrepreneurs in Madison.Â It has broad based support from the community and the University of Wisconsin and will be a great resource for entrepreneurs in Madison.Â “Getting this facility up and running is huge.Â When it succeeds, watch the creativity follow,” writes the City of Madison’s Michael Gay. Entrustet is a free service that enables an account holder to pass on digital assets to up to 10 designated heirs and one executor, who is in charge of executing a personâ€™s digital wishes after they pass away. Digital assets include social networks, financial accounts, blogs, e-mails and other Internet properties or files. Check out the video above where Rocketboom Techâ€™s Ellie Rountree interviews Jesse Davis, co-founder of Entrustet about how the service works and why it is important. 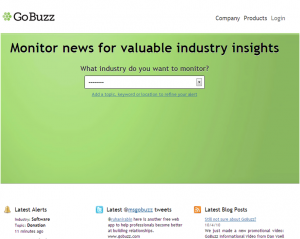 Capital Entrepreneurs member GoBuzz alerted me that they’ve just launched their free email alert system this past week.Â “The GoBuzz system is designed to help professionals develop business relationships and strengthen industry knowledge,” says cofounder Dan Voell. 1.Â Â Â Â Â Â GoBuzz learns what you are looking for. Click on â€œusefulâ€ or â€œnot usefulâ€ buttons beneath the article and your results will improve over time. I tried it out today and it it’s really easy to set up a free alert.Â I like that I can enter more specifics than with Google Alerts, as many of my Google Alerts return results that are not pertinent to my searches.Â I’ll keep updated on how it works out for me, otherwise, you can check it out for yourself and report back to us!Â You can follow the GoBuzz Team on Twitter or contact them on their website for more info. GoBuzz Informational Video from Dan Voell on Vimeo. Entrustet is a free service that enables an account holder to pass on digital assets to up to 10 designated heirs and one executor, who is in charge or executing a person’s digital wishes, after they pass away. Digital assets include social networks, financial accounts, blogs, e-mails and other Internet properties or files. Check out the video above, in which Rocketboom Tech‘s Ellie Rountree interviews Jesse Davis, co-founder of Entrustet, about how the service works and why it is important. Entrustet participated in the Web 2.0 Startup Showcase in New York City on Wednesday.Â The showcase brought 29 of the most interesting startups in the US into one room for an hour and a half of pitching to the Web 2.0 audience.Â Tim O’Rielly, Fred Wilson and the crowd each picked winners to go on stage during the showcase.Â Although Entrustet did not win, it was great recognition for a Capital Entrepreneurs startup. Governor Jim Doyle announced today that PerBlue, Inc., Waunakee, Dane County, has received the Qualified New Business Venture certification from the Department of Commerce (Commerce) for developing cell phone and social gaming software. The companyâ€™s certification by Commerce makes investors in PerBlue, Inc. eligible for a 25-percent tax credit on the amount they invest in the company. For additional information about the Qualified New Business Venture program, please visit http://www.commerce.state.wi.us/bd/BD-Act255-QNBV.html.